Frames: Fifteen 10 minute luminance frames, twelve 300 second exposures for each of RGB and fifteen 20 minute HA frames. Processing: Stacked in CCDStack, balanced, curves, highlights and sharpening in Photoshope CS5. Text from APOD: NGC 253 is not only one of the brightest spiral galaxies visible, it is also one of the dustiest. 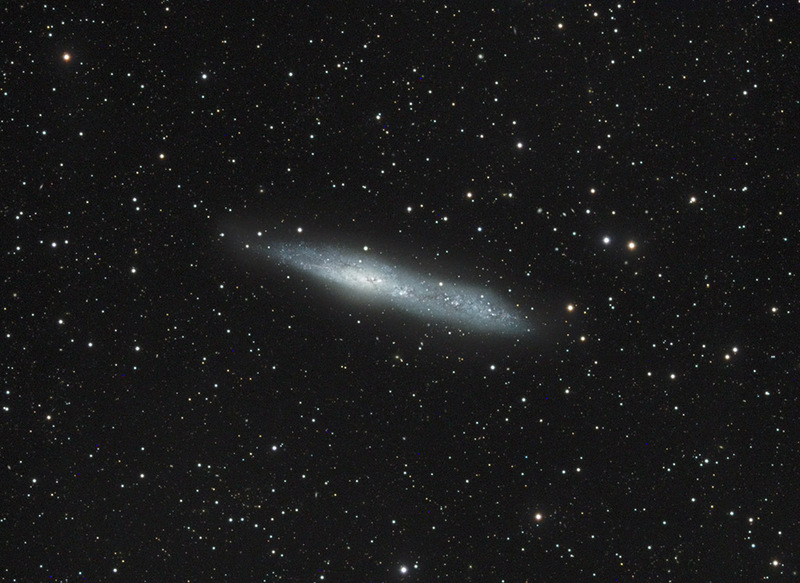 Discovered in 1783 by Caroline Herschel in the constellation of Sculptor, NGC 253 lies only about ten million light-years distant. 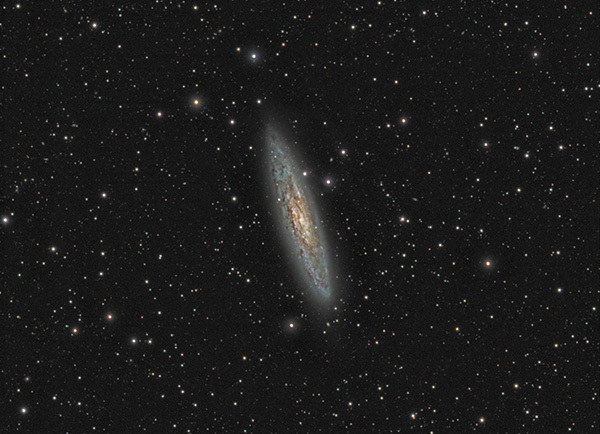 NGC 253 is the largest member of the Sculptor Group of Galaxies, the nearest group to our own Local Group of Galaxies. The dense dark dust accompanies a high star formation rate, giving NGC 253 the designation of starburst galaxy. Visible in the above photograph is the active central nucleus, also known to be a bright source of X-rays and gamma rays.